We are a leading Exporter of chocolate pvc box, chocolate box, chocolate plastic box and chocolate packing box from Mumbai, India. 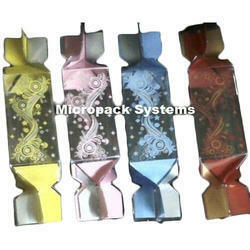 To meet the variegated demands of our esteemed clients, we are engaged in offering an exclusive range of Chocolate Box. While manufacturing these products, our creative designers use only deluxe grade raw material and leading edge techniques, in compliance with predefined international quality standards. Apart from this, we also modify our products as per the needs of our clients. 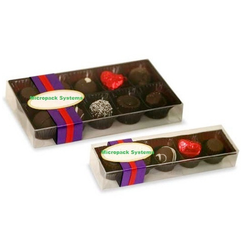 We manufacture and supply an extensive range of Chocolate Plastic Box, which are manufactured with advanced technology and latest machines. These products are used for packing and storing different kinds of goods such as imitation jewellery, confectionery, candles and garments. Our products can be customized according to the given specification by our clients and we offer these boxes at most competitive prices to the valuable clients. With enormous experience in this domain, we have established ourselves as the most reliable manufacturer and exporter of beautifully crafted Chocolate Packing Box. These boxes are designed and developed by highly skilled and experienced artisans who make use of high grade raw material and techniques. Further, known for their strength and look, our entire range is offered as per the specific requirement of the customers at most affordable prices.